Your tires take a lot of punishment. Today’s tires can be rated for as much as 50,000 miles or up to a decade. The NHTSA, which knows a thing or two about car safety, suggests changing them every six years at most. If you’re not sure how long, or how many miles, it’s been since your last tire change, grab a penny and go out to the car. Stick that penny in the treads with Lincoln’s head facing into the treads. If you can see the top of his head, that means you have less than 2/32 of an inch of tread. It also means it’s time for new tires. 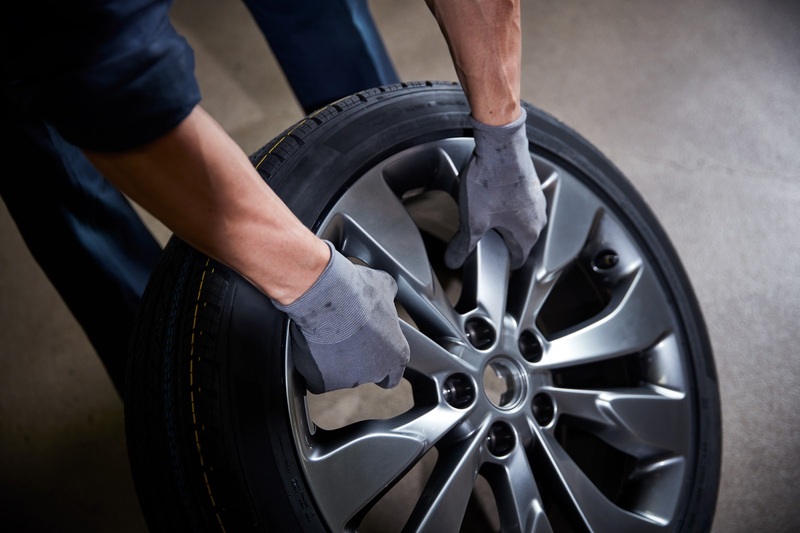 Other signs of damage and wear — gashes, wear to the side walls, pressure loss, or bulging — are also sure signs it’s time to replace your tires. And make sure you don’t neglect your spare, which may have been sitting in the back of your pre-owned Honda Accord since you bought it ten years ago. You should also make sure you get OEM-spec tires like the ones stocked by the parts department at your San Diego Honda dealership. What’s more, they should be mounted and balanced by the expert technicians at our Honda service department. During your visit, make sure you ask about our Honda service coupons. And remember that your old tires will be more prone to flats and blowouts, and their lack of grip also undermines your safety, and poor pressure means more trips to the pump. For all your Honda car needs, make sure you call 858-694-1000 or visit Pacific Honda at 4761 Convoy St. in San Diego, CA! A great guide for people who have been Honda users recently, I am very useful especially that soon I am just waiting to buy new tires, I've been wondering what to choose, and this entry dispels my doubts and helps;) I'm waiting for more interesting entries, because each and every one of them is very useful, greetings! !